I'm not one, I am vaccinated. 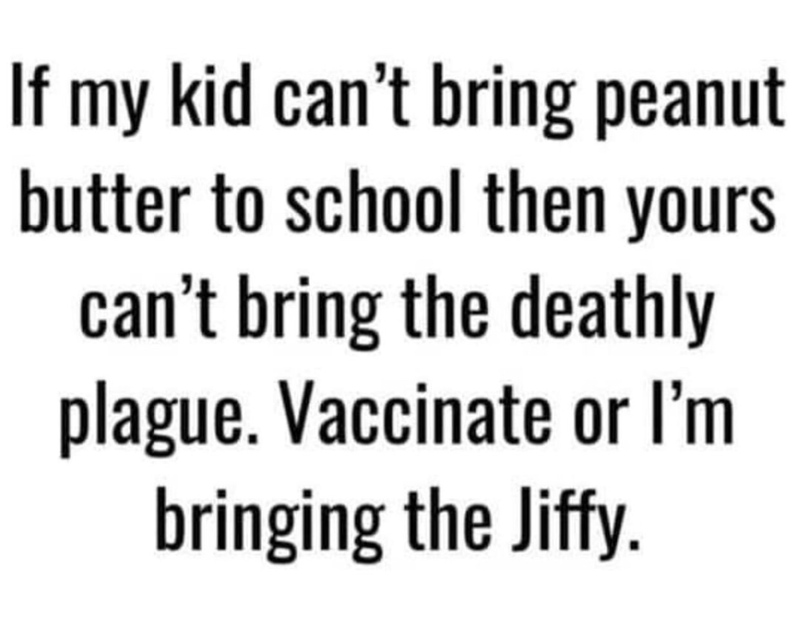 When I have kids, they will be vaccinated. Do you give any credibility to any of the anti-vax arguments? I think not getting vaccinated is idiotic (unless you have some true reason you can't have a vaccination), but some of these people are so passionate about it. Not only do the vaccinations "cause autism" but they are part of a government conspiracy. My favorite are the ones that are anti-vaxxers but constantly scream about scientific consensus on climate change. Those people will eventually get others killed with their foolishness. Do you give any credibility to any of the anti-vax arguments? No. Anyone that doesn't vaccinate is a fool. No. There is no credible argument against vaccination. It is dangerous to not vaccinate your kids. My opinion is that they're too caught up in their make-believe values that they've become blind to facts and are 100% a-holes for putting their children at risk like that. frick them with fire and AIDS. I have no idea what part of the political aisle that they come from or how to spot them out in the wild, but they are fricking crazy. Not worth the time to argue with, but I have no desire to silence them. If they are loud and vocal, it helps me to know which kids mine shouldn't interact with. I have also noticed the anti-vax movement has a strong Facebook presence. They will argue to the death about it. They belong in trees...'cause they're nuts. What is your true opinion on anti-vaxxing/anti-vaxxers? I believe they should get themselves really organized and stage a march....and keep marching right off the edge of their alleged flat earth. Does Chicken have someone make an ant-vaxx post a least once a week to drum up site hits?